Everyone seems to be jumping on the cloud computing bandwagon. The reasons behind this diverse and ultimately, good for business. Cloud computing provides more flexibility and faster response to page loads. Businesses only have to pay for the services they use, lowering overall server costs and letting businesses tailor their services to their budgets. Businesses with few needs and small budgets can afford to get more services through cloud computing than they could if they attempted to rent a dedicated server. Going green is another huge movement in business today, with companies more worried about their carbon footprint than ever. For businesses committed to sustainability, cloud computing is basically a must. Cloud computing isn’t often thought of as a leader in environmental sustainability, but it provides many green benefits to companies by allowing them to reduce their IT footprint, obtain higher performance without purchasing their own hardware and by giving them access to on-demand scaling. Before cloud computing became viable, companies would have to rent dedicated servers or, more often, run their own dedicated servers on-premise. This required them to purchase and install hardware, pay IT staff to support it and provide power for the servers, regardless of their load. Switching over to cloud computing removes all of those requirements and shifts them over to the hosting provider. Multi-tenancy, or the ability for multiple clients to make use of the same hardware, reduces the amount of additional power consumed when adding a new client to a cloud environment. Staffing needs are also reduced, because one data center can serve many clients. • More than 90 percent for small deployments of about 100 users. • 60 to 90 percent for medium-sized deployments of about 1,000 users. High performance dedicated servers cost a large amount of money and require a great deal of electricity and manpower to maintain. Further, in order to maintain top-of-the-line servers businesses must upgrade their servers every year, further increasing the cost. Cloud computing environments eliminate the need for businesses to purchase and upgrade their hardware, while still allowing them access to a high performance environment. Because they don’t need to purchase new hardware, businesses save money on their server environment while fewer electronics have to be manufactured, reducing waste and pollution. Businesses can increase the performance of their server environment easily, without paying the cost for new hardware. By pooling resources, cloud computing hosts can offer better performance for lower prices than dedicated servers, save energy and prevent the manufacturing of excess electronics. In the past, when a spike in demand was expected, businesses would overprovision their IT infrastructure, resulting in underutilized networks, servers and storage. Because it can be incredibly difficult to properly predict growth and peak loads, IT managers were encouraged to use their entire yearly budgets to maintain application availability. 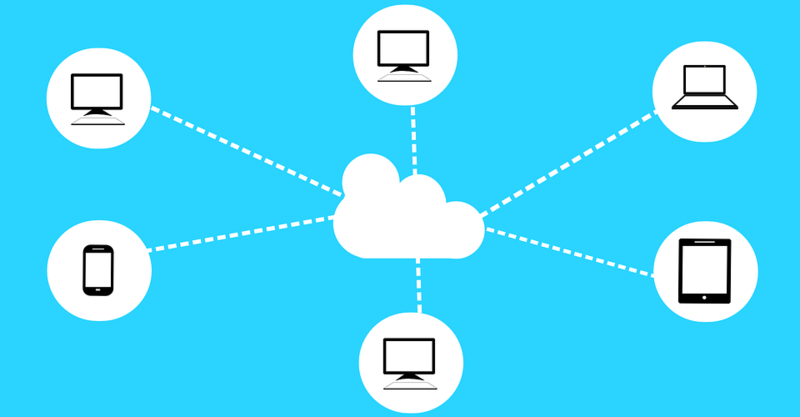 One of the main benefits to cloud computing is that more resources are available to clients as they require them. Businesses don’t need to try to anticipate future demands on their systems, because the cloud environment can be used to scale available resources when demand spikes. This prevents companies from spending money on servers that will sit idle for a majority of their life cycle, saving both time and energy. Cloud computing offers many operational benefits to companies of all sizes, while at the same time providing them with a more sustainable, ecologically-friendly alternative to traditional IT infrastructure. Because they do not have to maintain servers in-house or manage dedicated servers, companies that use cloud computing services can concentrate their IT staff on developing software. Not having dedicated servers sitting idle means that less energy is wasted, because multiple clients can make use of the same hardware as their needs change. Cloud computing, by definition, makes heavy use of virtualization, which means that fewer physical servers are required to perform the same functions as dedicated servers. Though this could lead to decreased performance, most often it leads to a more efficient use of resources. This is because most businesses’ activities don’t utilize 100% of a server’s resources. The ability for cloud computing clients to increase the power of their services as they require allows them to save both money and energy by not running expensive, power-hungry hardware when it will not be utilized. Cloud computing’s main benefits, both to clients and the environment, are a result of the fact that it pools resources and provides only what a company needs at any given time, drastically improving efficiency over that of a dedicated server.